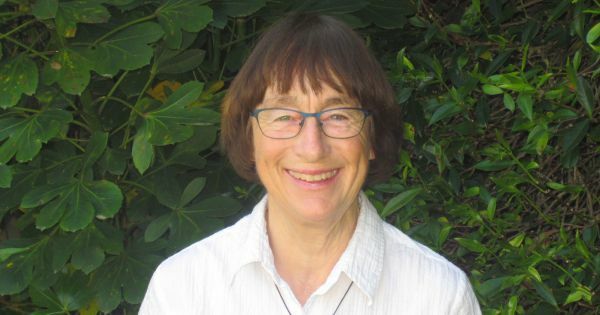 Congratulations to Kidsfirst Beckenham's, Helen Peters - one of six outstanding New Zealand teachers acknowledged in the ASG National Excellence in Teaching Awards (NEiTA). Selected from more than 200 nominations, the six award recipients were honoured for their inspiring and innovative contributions to teaching, at an official ceremony hosted by Education Minister, Hon Chris Hipkins in Wellington. 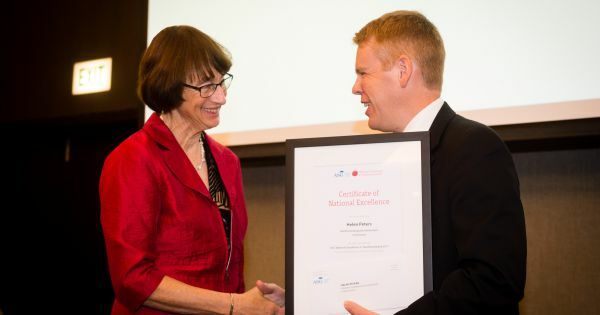 Helen receives her NEiTA award from Education Minister, Hon Chris Hipkins in Wellington. Click to read more about Helen Peters award win in Wellington. Helen's award win follows on from her an initial selection as one of five Christchurch teachers, who were regional winners of the ASG National Excellence in Teaching Awards (NEiTA) for 2017 (Read more on that story below). 2017 ASG National Excellence in Teaching Awards. Stage 1 Award Recipient: Helen Peters, Kidsfirst Beckenham. Running now for 21 years, the awards encourage school community members to nominate:outstanding teachers who were passionate about their job and encouraged their students to reach their full potential. Helen has been an early childhood teacher for 30 years, 19 of those at Kidsfirst Beckenham. It was her love of children and engaging with them that first inspired her to become a teacher. “The excitement of being a part of each child’s growing independence and the development of their interests and learning dispositions maintains my enthusiasm. I share a sense of wonder and fun with the children I teach”. Helen’s love of children and engaging with them inspired her to become a teacher. She enjoys developing a warm, reciprocal and caring relationship with each child and their whanau. Helen is part of a teaching team of four and along with a supportive community has maintained and constantly enhanced a beautiful natural environment, which allows children to explore the wonders of nature. Within this environment, Helen fosters children’s gross motor development, imagination, construction skills and dispositions. Through play, Helen nurtures the children’s perseverance to develop new skills and social competencies. Helen also initiated an early reading scheme where children have a reading folder and can choose and borrow readers to share at home with their families. Her aim is to meet her students’ individual educational needs and ensure that children ready to go on to the next part of their learning at school are motivated, happy and confident. - AS THE PLACE LOCAL KIDS COME TO LEARN, PLAY AND HAVE FUN.